Having heard with a great shock and deepest sorrow, my wife and I join the world´s people and all the colleagues of the United Nations system in extending our deepest condolences to Mrs. Annan and his bereaved family on the untimely passing of Mr. Kofi Annan, my predecessor Secretary General of the United Nations I also convey the same to the government and the people of Ghana. 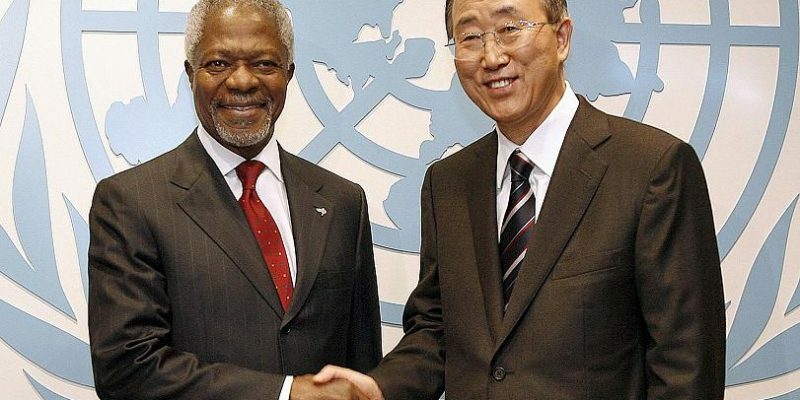 For the last 15 years, I have had closely worked with Secretary General Kofi Annan for peace, development and human rights for all the people around the world. After retirement from the United Nations, Mr. Annan has been most energetic in the sublime works of realizing the goals of the United Nations, and has been leading The Elders Group where I had been honoured to work with him since 2017. 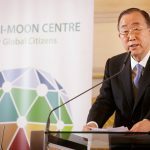 During and after his life-long service with the United Nations, he has been astutely guiding the United Nations organization into the 21st century defining an ambitious agenda that had made the UN truly indispensable to peace, prosperity and human dignity around the world. He will always be admired and remembered for his vision and courage in upholding the United Nations principles and ideals. 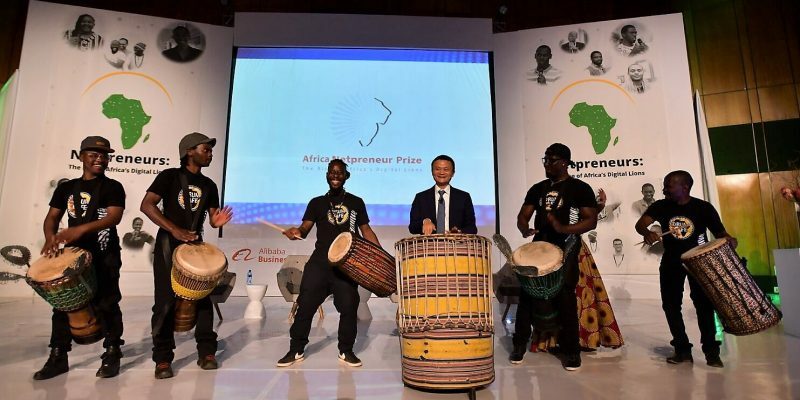 Jack Ma, the founder and the executive chairman of Alibaba Group, established Jack Ma Foundation Netpreneur Prize to support businesses in digital economy by funding entrepreneurs in Africa. The prize will focus on internet-led businesses that help advance technology and innovation in Africa. The entrepreneurs will get a million USD per year for 10 years through competitions. “All young Africans should seize the opportunity to aim high,” Ban urged to the African youth, especially women, “put your best foot forward and I look forward to your application to the African Netpreneur Prize.” Ban sees that the empowerment of youth and women and the development of the global digital economy in Africa will make the continent become the leader of the next century. The Special Music & Art Festival 2018 organized by Special Olympics Korea kicked off on August 7th in Korea, attracting 130 artists from all over the world, who have developmental disabilities. 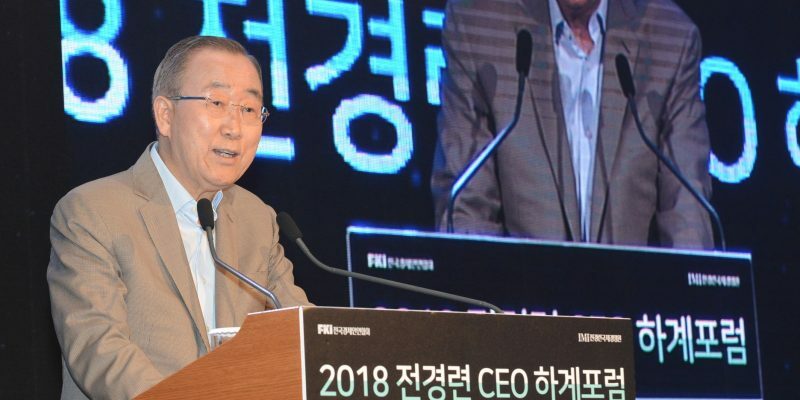 The Ban Ki-moon Centre’s Co-chair Ban Ki-moon was appointed as Honorable Chairman of the festival. 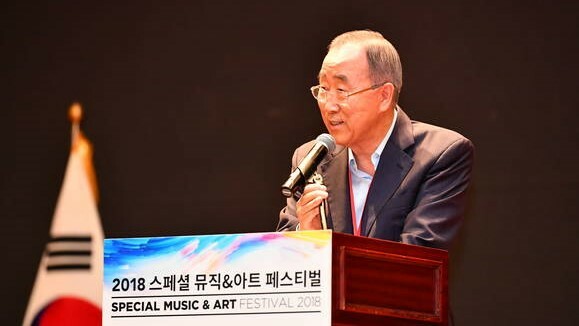 At the inaugural ceremony, Honorable Chairman Ban said that he sees how valuable it is to give help where it is needed through the festival and that he will deeply ponder what to do in order to make the festival accessible so that many more artists with developmental disabilities can participate. to bring up mutual understandings between the participants with and without disabilities. This year, the 5-day festival consists of music lessons, mini-Special Olympics, and various forms of concerts, including an open-stage concert for anyone who wants to perform. 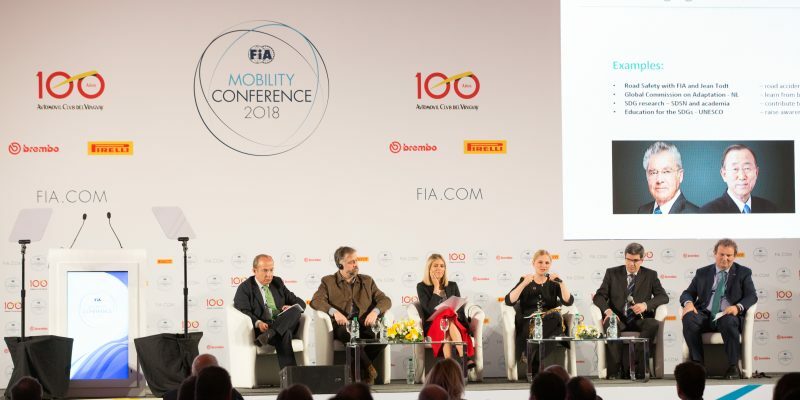 On July 25th, Ban Ki-moon Centre CEO Monika Froehler featured on a high-level panel at the 2018 FIA Mobility Conference held in Montevideo, Uruguay. She joined Felipe Calderón, President of the FIA Environment and Sustainability Commission; Pablo Inthamousso, Mobility Director for Montevideo City; Roberto Falkenstein, Head of Research and Development for Pirelli Tyres; and Sean O’Connor, Director of Strategy for Automobile and Touring Club of United Arab Emirates. 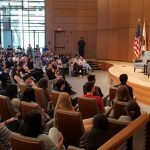 Ban emphasized the necessity of adopting “Negative Regulation System” that allows everything possible except what is impossible in order to prepare for the 4th industrial revolution. Through the system, he urged to maximize human creativity. Regarding the possible economic cooperation between two Koreas, Ban expressed hope for the leap of Korean corporations in utilization of unlimited potential growth of North Korean economy on the basis of “trust but verify” attitude. 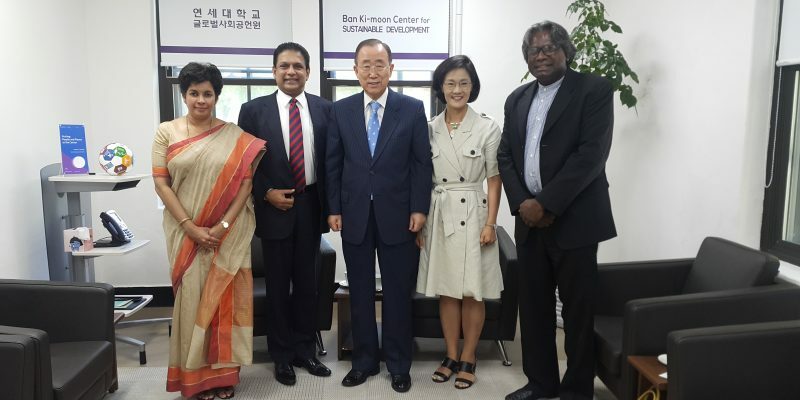 Secretary of the Ministry of Mahaweli Development and Environment of Sri Lanka, Anura Dissanayake met Co-chairman Ban Ki-moon at the Ban Ki-moon Center for Sustainable Development, Yonsei University in Seoul, Korea. Independent Consultant Chris Dharmakirti from the Ministry, Ambassador Manisha Gunasekera from the Embassy of Sri Lanka in Seoul, and Deputy Director General of GGGI, Ambassador Jenny Kim also participated in the meeting. The meeting entailed discussion on Sri Lanka’s commitment to sustainable development and to finance mobilization for climate resilient projects. 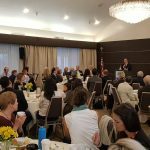 The Sri Lankan government officials sought for cooperation with the Global Green Growth Institute (GGGI) of which Co-chairman Ban is the President and Chair. 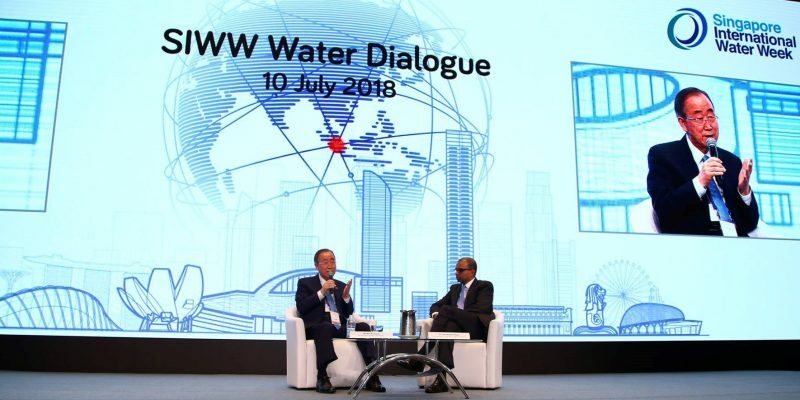 Ban commended the Blue Green Development Strategy initiated by President Maithripala Sirisena of Sri Lanka. 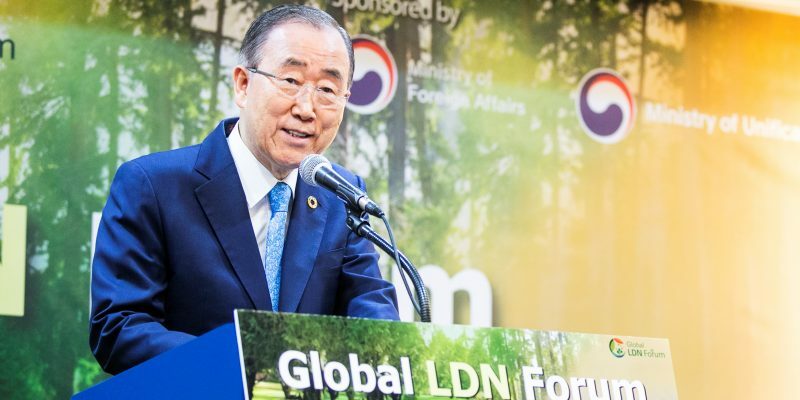 Ban Ki-moon Centre’s Co-chairman Ban Ki-moon, who is also the Assembly President and Council Chair of the Global Green Growth Institute (GGGI), urged global efforts on Land Degradation Neutrality (LDN) and support for the Peace Forest Initiative at the first Global LDN Forum. 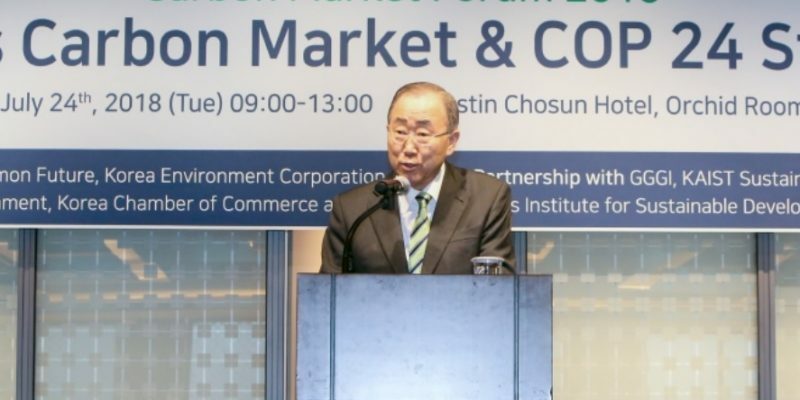 This two-day forum was co-hosted by the Korea Forest Service (KFS) and the UNCCD in Seoul, Korea, having the attendance of more than 200 participants from both the public and the private sector as well as international organizations, NGOs, and academia. LDN is defined as “a state whereby the amount and quality of land resources necessary to support ecosystem functions and services and enhance food security remain stable or increase within specified temporal and spatial scales and ecosystems” by the Parties to the United Nations Convention to Combat Desertification (UNCCD). 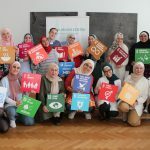 The gathered participants and the entities took the opportunity to discuss experiences and ideas on how the international community can cooperate and best practice the implementation of LDN. 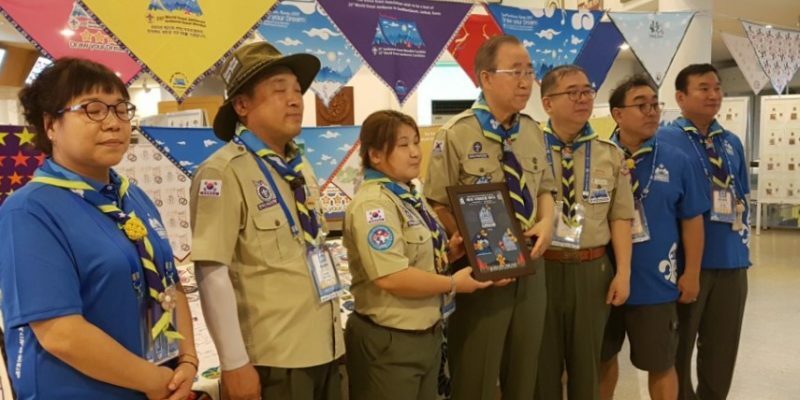 During the forum, a high-level inter-Korean dialogue also took place, which was to call for cooperation for implementing the Peace Forest Initiative with North Korea.